​Increase your durability by taking your body to the best performance levels as soon as possible. 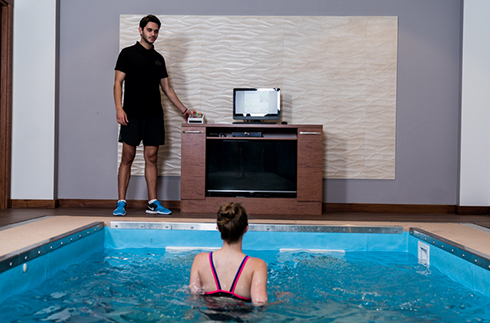 ​A pool filled with continuously chilled water at 6-8OC and with varying floor coating in and around it, provides fast recovery and foot relaxation after workouts. ​Therapeutic Massage Therapy is defined as the mobilization of soft tissue (such as muscle, fascia and body fluids) to restore normal systemic and biomechanical/functional use. It can be used to assist in the treatment of most musculo-skeletal and associated problems, and regular Therapeutic Massage Therapy results in improved circulatory, lymphatic and neurological functioning. ​Type of massage focusing on areas of the body that are overused and stressed from repetitive and often aggressive movements. It reduces pain, swelling, inflammation and shortens recovery time. ​Lymphedema is a build-up of lymph fluid in tissue just under the skin. Certified lymphedema therapists uses massage techniques, bandaging, exercises and specialized equipment to reduce the discomfort. Recover faster, improve immune system, descrease the risk of injury, increase endorphin level, increase collagen production, reduce pain, increase metabolic rate, increase testesterone level with Icelab – Whole Body Therapy. 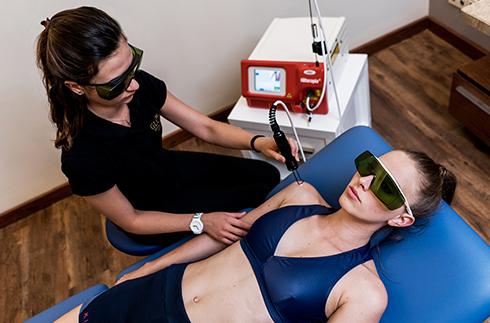 ​For many overload, traumatic or degenerative pathologies, high intensity laser, Hilterapia® produces important therapeutic effects by triggering a series of biological signals that contribute to the tissue healing and regeneration processes; moreover, it activates lymphatic drainage and microcirculation.